Two years ago, I drove to the Borough Theatre in Abergavenny to review a Finnish four-fiddle band who rejoice in the name of Frigg. The seven musicians trooped on stage, seriously stepped on the gas and totally blew me away with their fantastic, singing sound that only a quartet of violins can claw at the ears, their breathless, rip-roaring repertoire and their smiling, laughing energy. The audience roared for an encore and went home, exhausted, delighted and thoroughly happy. So welcome, violin players Esko Jӓrvelӓ, his sister Alina Jӓrvelӓ, Tommi Asplund (Frigg’s manager) and Tero Hyvӓluoma; double-bassist Juho Kivivuori; Petri Prauda, player of the bagpipes, mandolin and cittern; and guitarist Anssi Salminen. Furthermore, the Nordic goddess of love has reached out and embraced a thousand miles to us. Petri poses the question: “Did you know that the name for Friday comes from “Frigg day”? The origins of the band go back to sister and brother Alina and Esko and their cousin Antti Järvelä, meeting up with Norwegian brothers Einar-Olav and Gjermund Larsen and jamming together when they were kids. Petri said: “However, the actual touring band was formed in 2000 when Antti asked me and Tuomas Logrén to join in the accompaniment section. Musicians came and went, and the originally Finnish-Norwegian group has now become wholly Finnish – but Nordic influences remain strong. 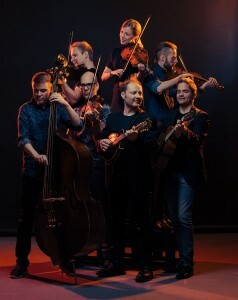 The band has been conquering the world – including seven North American tours – with a fusion of western folk music styles, leaning strongly towards Nordic folk music. 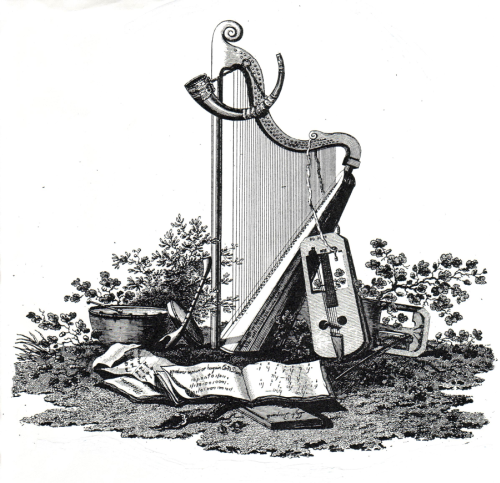 In fact, the Music Media has lovingly coined the term Nordgrass, referring to Frigg’s bluegrass influences. 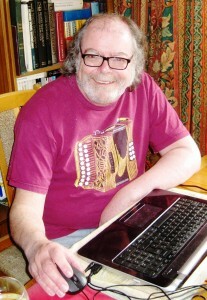 Frigg’s eighth and latest album, Frost On Fiddles, was released in different months in different countries; Finland in June, Germany in August and October in the UK. Everybody is looking forward to the Roots Unearthed concert, but Frigg’s Finnish Fiddle Tunes workshop for all string players – not just fiddlers – will be a course of opening the gateway on Scandinavia’s rich tradition. Band members will offer many Scandinavian tunes, such as jigs, reels, polkas, schottisches and waltzes – all of them taught by ear, but with the offer of scores for future reference. 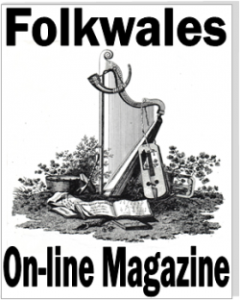 The band welcome classical, traditional, jazz and folk players; but will the quartet of fiddles feature in the workshop? Petri says it’s most likely, especially if there is quite a lot of interest.